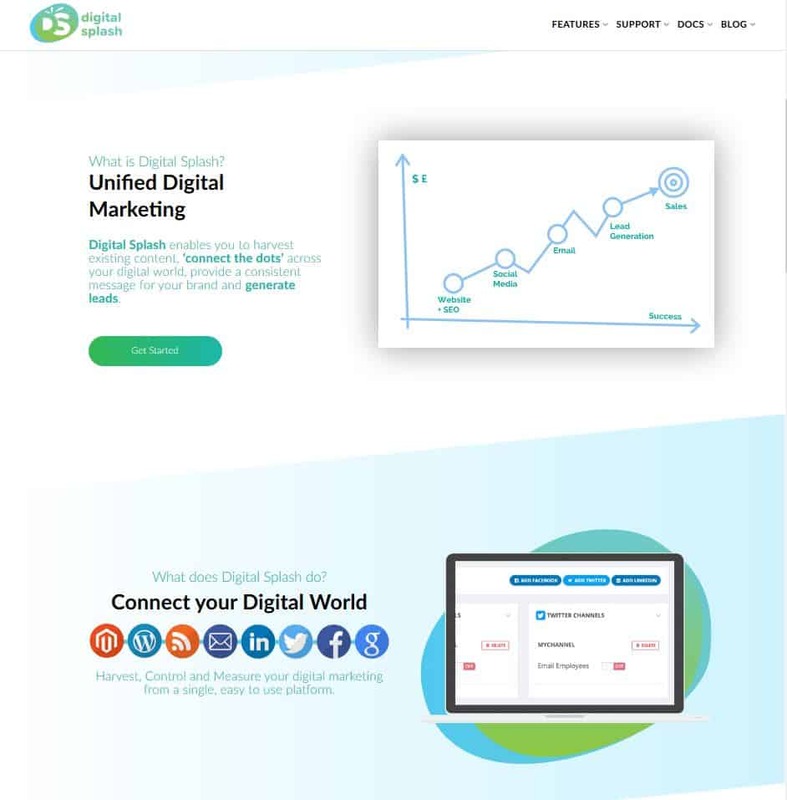 Digital Splash is a (CMS) Content Management System that automatically creates content, publishes it to social media and measures the success of campaigns in real time. This application was built and designed by h2o digital in house to manage their social media accounts, blog posts, and newsletters. They wanted to create a website to direct clients to, which showcases the applications functionality, usability, and describes exactly 'what' it does. h2o designed a modern company logo, and maintained this style throughout the site. They ensured the concept of their application was displayed and described clearly, which allows clients to navigate around the site with ease.